I'd follow these guys to space, for sure. Last time Steve Carrell and Greg Daniels teamed up together, it was to create the legendary sitcom frying itself in the brain of every millennial and those generations of the future. We are, of course, talking about “The Office”. 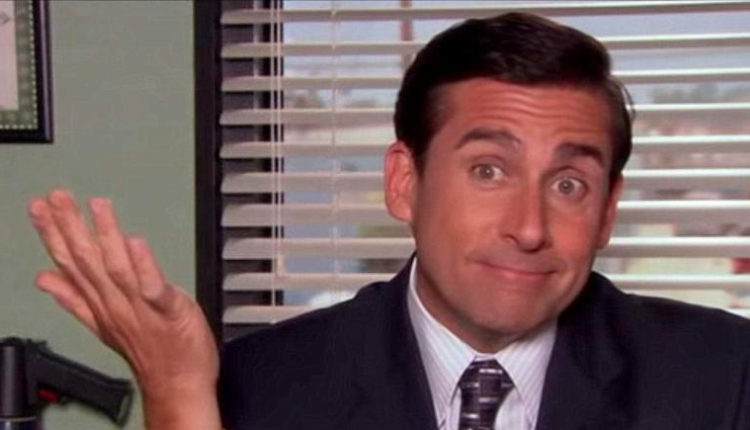 Now they answer a sort of terrible question in a very lovely way: what if The Office was run by… Donald Trump! I guess! The bad president and his 300 hamburgers have inspired a lot of reductive art, although this feels… odder. And somehow better and more special, as the talents behind the office will imagine what the workplace of The Space Force is. Do you remember the Space Force? The paramilitary space organization meant to fight wars in space against enemies who haven’t even really presented themselves. Our country sure loves war! And Steve Carrell! War and Steve Carrell! The nation is steadfast in its diet of war and also Steve Carrell. So at long last we have found the non Adam McKay directed intersection of these two loves with war and Carrell with “Space Force”, a sitcom set to take place in the imaginary (for now) wing of this random Donald Trump brain fart that became policy. Check out a Netflix trailer for it below. In my mind, Greg Daniels can do no wrong. From “King of the Hill” to “The Office” and “Parks and Recreation”, the man has an unbelievable talent for crafting small human comedies based around pain, anxiety and the hope that can grow within it, like a park inside a landfill. Whatever the subject matter, wether its some Donald Trump style parody, or simple the adventures of an office in a paramilitary NASA style program, will be excellent. I can’t wait, and know the combination of the two talents will result in beautiful work. But what do you think of this development? Let us know in the comments or on Twitter at @WhatsTrending.